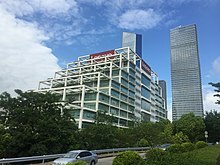 Lenovo Group Ltd. or Lenovo PC International, often shortened to Lenovo (/lɛˈnoʊvoʊ/ leh-NOH-voh), is a multinational technology company with headquarters in Beijing, China, and Morrisville, North Carolina, United States. It designs, develops, manufactures, and sells personal computers, tablet computers, smartphones, workstations, servers, electronic storage devices, IT management software, and smart televisions. Lenovo is the world's largest personal computer vendor by unit sales, as of March 2019. 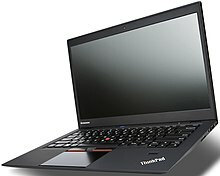 It markets the ThinkPad line of notebook computers, IdeaPad, Yoga and Legion lines of notebook laptops, and the IdeaCentre and ThinkCentre lines of desktops. 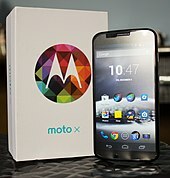 ^ "It's official: Motorola Mobility now belongs to Lenovo - CNET". cnet.com. Retrieved 25 December 2014. ^ "IBM Investor relations — IR News and views | 01 May 2005 Lenovo completes acquisition of IBM". Ibm.com. Retrieved 7 January 2013. ^ Moorhead, Patrick (26 June 2014). "IBM-Lenovo Server Agreement Basically A Done Deal". Forbes. Retrieved 9 May 2015. ^ "NEC, Lenovo Form PC Joint Venture As NEC Posts Wider Loss". Fox Business. 27 January 2011. ^ David Ranii (2 February 2011). "With NEC venture, Lenovo eyes Japan". Cary News (North Carolina). ^ "Lenovo, NEC to jointly develop tablets: Report". Reuters. 4 July 2012. Retrieved 9 October 2014. ^ a b CHRIS V. NICHOLSON (2 June 2011). 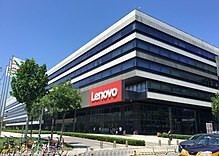 "Lenovo to Buy German PC Maker". The New York Times. ^ "China's Lenovo to buy Brazilian electronics company CCE". Reuters. 5 September 2012. Retrieved 15 September 2012. 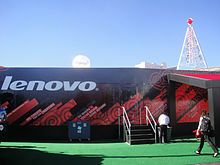 ^ "Lenovo to acquire Brazil's biggest PC maker". EE Times. 5 September 2012. Retrieved 15 September 2012. ^ Mehta, Stephanie N. (5 September 2012). "Urgency drives Lenovo deal in Brazil — Fortune Tech". Tech.fortune.cnn.com. Retrieved 7 January 2013. ^ Yun, Liau (25 September 2012). "Lenovo to stop buying hardware companies". ZDNet. Retrieved 7 January 2013. ^ "Lenovo buys US-based Stoneware to strengthen its cloud computing services". The Next Web. Retrieved 18 September 2012. ^ "Lenovo Acquires Stoneware to Expand Secure Cloud Computing". Lenovo. Retrieved 18 September 2012. ^ Paul Mozur (18 September 2012). "Lenovo Acquires U.S. Software Firm". Wall Street Journal. Retrieved 12 July 2012. ^ "Lenovo Makes First Software Buy to Expand in Cloud Computing". Bloomberg Businessweek. 18 September 2012. Retrieved 12 July 2012. ^ a b "Lenovo gets into server-based storage virtualization with DataCore". theregister.co.uk. 15 March 2017. Retrieved 26 May 2017. ^ "Lenovo leads $10M investment in 6-legged robot maker Vincross". TechCrunch. Retrieved 20 February 2019. ^ Reisinger, Don (10 January 2013). "Lenovo chief: We're in the PC-plus, not post-PC era". CNET. Retrieved 28 September 2013. ^ "Lenovo Statement on Linux Support for Yoga | Lenovo Newsroom". news.lenovo.com. Retrieved 22 September 2016. ^ "Lenovo's Signature laptops refuse to install Linux". BBC News. 21 September 2016. Retrieved 22 September 2016. ^ "Lenovo confirms that Linux won't work on Yoga 900 and 900S laptops". VentureBeat. Retrieved 22 September 2016. ^ "Lenovo denies deliberately blocking Linux on Windows 10 PCs - TechRepublic". TechRepublic. Retrieved 22 September 2016. ^ Kingsley-Hughes, Adrian. "Lenovo reportedly blocking Linux on Windows 10 Signature Edition PCs (updated) | ZDNet". ZDNet. Retrieved 22 September 2016. ^ "(Linux Only) BIOS Update for Windows 10 (64-bit) - Yoga 900-13ISK2 - US". pcsupport.lenovo.com. Retrieved 24 March 2019. ^ "Lenovo's Windows Phone 8 Plans In Full Force: First Device Out In 2013?". Mobile & apps. 11 January 2013. Retrieved 28 September 2013. ^ Zak Islam (14 January 2013). "Lenovo Aims to Beat Samsung as China's Top Smartphone Maker". Tomshardware.com. Retrieved 28 September 2013. ^ MarketScreener (28 May 2015). "Cogobuy : Lenovo to Build Intelligent Hardware Ecosystem | MarketScreener". www.marketscreener.com. Retrieved 21 January 2019. ^ PYMNTS (1 June 2015). "Lenovo Urges Biz To Procure High-Tech Hardware". PYMNTS.com. Retrieved 21 January 2019. ^ Nona, Tepper (20 May 2016). "Sales surge 56% on Cogobuy's electronics marketplaces". Digital Commerce 360. Retrieved 21 January 2019. ^ "艾華迪集團 - Cogobuy Launches Strategic Cooperation with Lenovo to Build Intelligent Hardware Open Ecosystem". 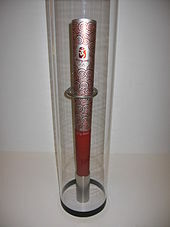 www.avaval.com. 29 May 2015. Retrieved 21 January 2019. ^ 28 September 2013 (5 June 2013). "Lenovo cranks up Whitsett plant - News-Record.com: News". News-Record.com. Retrieved 28 September 2013. 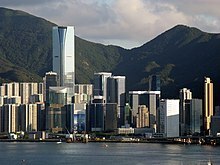 ^ a b c "Lenovo Group Will Build Development Center In Hong Kong's Cyberport". China Tech News. Asia Media Network. 9 February 2015. Retrieved 9 March 2015. ^ Jon Fingas (10 October 2018). "Lenovo retakes the top spot in PC shipments". engadget. Retrieved 23 October 2018. ^ Bary, Andrew (25 March 2013). "Barron's Names World's Best CEOs - Barrons.com". Online.barrons.com. Retrieved 28 September 2013. ^ Hille, Kathrin (11 July 2013). 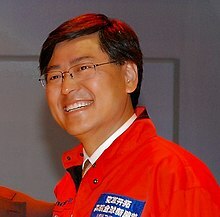 "Lenovo optimistic about China's economy". FT.com. Retrieved 28 September 2013. ^ a b Dexing, Qin (13 February 2015). "Lenovo Expands to Africa". ECNS.com. Retrieved 9 March 2015. ^ Fox-Brewster, Thomas (19 February 2015). "How Lenovo's Superfish 'Malware' Works And What You Can Do To Kill It". Forbes. Forbes.com LLC. Retrieved 20 February 2015. ^ Fox-Brewster, Thomas (27 February 2015). "Lenovo Only Made Up To $250,000 From Nightmare Superfish Deal, Say Sources". Forbes. Retrieved 9 May 2015. ^ Elizabeth Weise (5 September 2017). "FTC settles with Lenovo over a built-in snooping software, $3.5 million fine". USA Today. 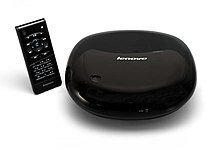 ^ a b "Superfish fallout: Lenovo to give away free McAfee LiveSafe security suite". Deccan Chronicle. 28 February 2015. Retrieved 9 March 2015. ^ "Lenovo slipped 'Superfish' malware into laptops". CNNMoney. Retrieved 19 February 2015. ^ "Unbox your laptop, and say hello to security risks". Retrieved 25 September 2016. ^ "Lenovo Urges Windows 10 Users to Uninstall Dangerous Utility". Retrieved 26 September 2016.